In the health care and wellness industry, the demand for medical assistants is very high. And it is more likely to increase in the following years. However, the high demand for medical workers doesn’t mean that you can get a job right away. So, we came up with the major key points that you need to consider in preparing your medical assistant resume. As per the United States Bureau of Labor Statistics 2016, the medical assistant careers will be among the fastest-growing occupation. This is primarily due to rapid tech advances in the field of medicine. Plus, the growing population of the elderly requires additional health care support in the following years. Medical assistants serve as the front liners in the offices of physicians and other medical practitioners. They are usually entrusted to perform various routine administrative and clinical duties. Their administrative work may include, but not limited to, greeting patients and answering phone calls. It may also include filing and updating patient’s medical records, and handling billing as well. On the other hand, clinical work may include basic healthcare and medical tasks such as preparing and assisting patients for medical examinations and recording vital signs. If you think you are qualified to enter this industry and jumpstart a promising career in this field, then there’s no time to waste preparing and developing an effective medical assistant resume and cover letter needed for the application procedure. The first page should begin with basic details about the job seeker, such as full name, mailing address, phone number, cellphone number, e-mail address, and fax number. Your “Job Objective” section should follow your contact details in your medical assistant resume. But there are instances wherein a qualifications summary is more suitable than a job objective. For example, if a person has gained a relevant number of experiences in the field, then a qualifications summary fits in stressing his proficiencies. In writing job objectives and qualifications summaries, remember to avoid phrases like “to gain experience” that hint your plan to use the job merely as a stepping stone. Also, don’t just state your expected duties and responsibilities. It will be better to describe how responsible you are as a professional and how you can be an asset to your potential employer. Since medical assistants are responsible for a load of work, potential employers want to know if candidates for the job have proper education and training to handle them. Although it is necessary to indicate all the courses and degrees earned, you can surely have a further edge if you are a Certified Medical Assistant (CMA) or a Registered Medical Assistant (RMA) with practical experience beyond the ordinary. If you have previous experience working in a health care or wellness facility, you may add specific administrative and clinical duties performed such as recording vital signs and medical histories of patients. 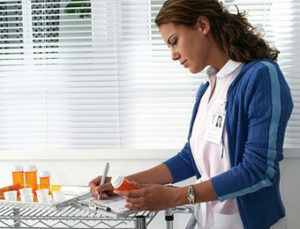 When writing your medical assistant resume, any relevant experience matters. Therefore, do not forget to stress any internships or volunteer work you have done before, even if you were not paid for it.